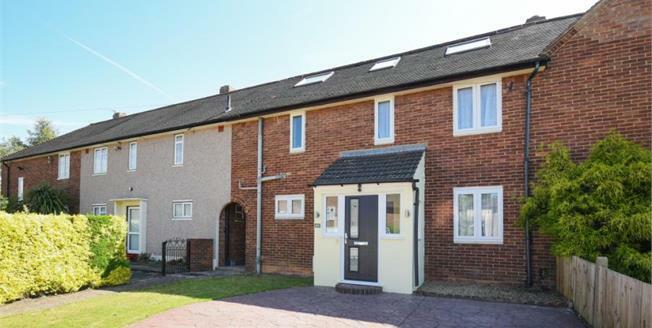 Located within a popular residential area on the Bromley/Petts Wood borders within one mile of Petts Wood and Bickley stations, local shops and close proximity to St James and Crofton Primary Schools is this five bedroom terraced house. The very spacious accommodation comprises, porch, lounge, downstairs WC, fitted kitchen, office area and lovely conservatory leading to the garden. Upstairs to the first floor are two double and one single bedrooms and family bathroom. To the second floor are two further generously sized bedrooms and shower room. To the front of the property there is off-street parking for two cars and to the rear the garden is mainly laid to lawn with a useful garden shed. This lovely house must be viewed to appreciate the size of accommodation offered and would ideally suit a growing family.